Gutters aren’t the type of renovation you normally think about unless there’s a problem. The truth is that your gutters are an integral part of the health of your roof, the disbursement of water, and the curbside appeal of your home. 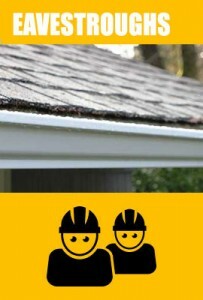 You don’t want to wait until your gutters fail because that can mean costly repairs for you. At Felder Construction, we offer free, same day quotes. We’ll take the time to look over your existing gutters and let you know if any repair is needed. Whether you need a full gutter installation, a repair, or a gutter cleaning, we’re happy to help keep your home healthy and prepared to weather any storm. Working with us means that we won’t stop your project until your job is finished. Whether you’re looking to replace old gutters for a better look or because the old material is outdated and lacking in serviceability, Felder Construction can help. The fact that our gutters are all one piece eliminates a lot of the problems we see in aging models.